For the film adaptation of this work, see War Requiem (film). The War Requiem, Op. 66, is a large-scale setting of the Requiem composed by Benjamin Britten mostly in 1961 and completed in January 1962. The War Requiem was performed for the consecration of the new Coventry Cathedral, which was built after the original fourteenth-century structure was destroyed in a World War II bombing raid. The traditional Latin texts are interspersed, in telling juxtaposition, with extra-liturgical poems by Wilfred Owen, written during World War I.
Britten, a pacifist, was inspired by the commission, which gave him complete freedom in deciding what to compose. 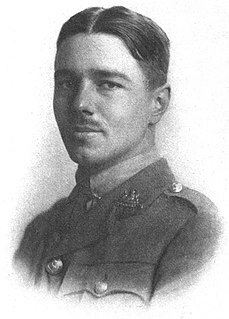 He chose to set the traditional Latin Mass for the Dead interwoven with nine poems about war by the English poet Wilfred Owen. Owen, who was born in 1893, was serving as the commander of a rifle company when he was killed in action on 4 November 1918 during the crossing of the Sambre-Oise Canal in France, just one week before the Armistice. Although he was virtually unknown at the time of his death, he has subsequently come to be revered as one of the great war poets. Wilfred Edward Salter Owen, MC was an English poet and soldier. He was one of the leading poets of the First World War. His war poetry on the horrors of trenches and gas warfare was heavily influenced by his mentor Siegfried Sassoon, and stood in stark contrast both to the public perception of war at the time and to the confidently patriotic verse written by earlier war poets such as Rupert Brooke. Among his best-known works – most of which were published posthumously – are "Dulce et Decorum est", "Insensibility", "Anthem for Doomed Youth", "Futility", "Spring Offensive" and "Strange Meeting". Britten's Children is a scholarly 2006 book by John Bridcut that describes the English composer Benjamin Britten's relationship with several adolescent boys. Bridcut has been praised for treating such a sensitive subject in "an impeccably unsensational tone". The Britten-Pears Foundation described the book as having been "enthusiastically received as shedding new light on one of the most interesting aspects of Britten's life and career, in a study that is thoroughly researched, wonderfully readable and thought-provoking". Bridcut's book followed his television documentary Britten's Children shown on BBC2 in June 2004. Sir Peter Neville Luard Pears was an English tenor. His career was closely associated with the composer Benjamin Britten, his personal and professional partner for nearly forty years. The musical forces are divided into three groups that alternate and interact with each other throughout the piece, finally fully combining at the end of the last movement. The soprano soloist and choir are accompanied by the full orchestra, the baritone and tenor soloists are accompanied by the chamber orchestra, and the boys' choir is accompanied by a small positive organ (this last group ideally being situated at some distance from the full orchestra). This group produces a very strange, distant sound. The soprano and choir and the boys' choir sing the traditional Latin Requiem text, while the tenor and baritone sing poems by Wilfred Owen, interspersed throughout. The full orchestra consists of the following instrumentation. The chamber orchestra consists of the following instrumentation. "What passing bells" (tenor solo) – Owen's "Anthem for Doomed Youth"
"Bugles sang" (baritone solo) – Owen's "But I was Looking at the Permanent Stars"
"Out there, we walked quite friendly up to death" (tenor and baritone soli) – Owen's "The Next War"
"Be slowly lifted up" (baritone solo) – Owen's "Sonnet On Seeing a Piece of our Heavy Artillery Brought into Action"
Lacrimosa (soprano and chorus) interspersed with "Move him, move him" (tenor solo) - Owen's "Futility"
Isaac and Abram (tenor and baritone soli) – Owen's "The Parable of the Old Man and the Young"
"After the blast of lightning" (baritone solo) – Owen's "The End"
Agnus Dei (chorus) interspersed with "One ever hangs" (chorus; tenor solo) – Owen's "At a Calvary near the Ancre"
Strange Meeting ("It seemed that out of battle I escaped") (tenor and baritone soli) – Owen's "Strange Meeting"
Four other motifs that usually occur together are distinct brass fanfares of the Dies irae: a rising arpeggio, a falling arpeggio followed by a repeated note, a repeated fourth in a dotted rhythm ending in a diminished arpeggio, and a descending scale. These motifs form a substantial part of the melodic material of the piece: the setting of "Bugles sang" is composed almost entirely of variations of them. Another linking feature can be found in the opening of the final movement, Libera Me, where the slow march tune in the double basses (preceded by two drums outlining the rhythm) replicates the more-rapid opening theme of the first poem, Anthem for Doomed Youth. As the male soloists sing the last line repeatedly, the boys sing "Hostias et preces tibi, Domine" ("Sacrifice and prayers we offer thee, Lord"), paralleling the sacrifice of the Mass with the sacrifice of "half the seed of Europe" (a reference to World War I). The "reprise" of "Quam olim Abrahae" is sung in inversion, diminuendo instead of crescendo. The whole of the Offertorium is a reference to Britten's earlier Canticle No. 2 "Abraham and Isaac" from 1952. Britten here uses much of the musical material of the earlier work, but the music in the Requiem is twisted into much more sinister forms. Although there are a few occasions in which members of one orchestra join the other, the full forces do not join together until the latter part of the last movement, when the tenor and baritone sing the final line of Owen's poem "Strange Meeting" ("Let us sleep now ...") as "In Paradisum deducant" ("Into Paradise lead them ...") is sung first by the boys' choir, then by the full choir (in 8-part canon), and finally by the soprano. The boys' choir echoes the Requiem aeternam from the beginning of the work, and the full choir ends on the resolved tritone motif. For the opening performance, it was intended that the soloists should be Galina Vishnevskaya (a Russian), Peter Pears (an Englishman) and Dietrich Fischer-Dieskau   (a German), to demonstrate a spirit of unity. Close to the premiere, the Soviet authorities did not permit Vishnevskaya to travel to Coventry for the event,  although she was later permitted to leave to make the recording in London. With only ten days' notice, Heather Harper stepped in and performed the soprano role. The Dutch premiere took place during the Holland Festival, in 1964. The Amsterdam Concertgebouw Orchestra and the Netherlands Radio Choir were conducted by Bernard Haitink; the chamber orchestra (consisting of Concertgebouw Orchestra instrumentalists) by Britten himself. The soloists were Vishnevskaya, Fischer-Dieskau and Pears, in their first public performance together. The English Chamber Choir performed the work at Your Country Needs You, an evening of "voices in opposition to war" organised by The Crass Collective in November 2002. To commemorate the eve of the 70th anniversary of the destruction of the original cathedral, a performance of the Requiem took place in the new cathedral on 13 November 2010  , featuring the soprano Claire Rutter, the tenor Daniel Norman, baritone Stephen Gadd, The Parliament Choir, Saint Michael's singers, Deutscher Chor London, the ESO Chamber Orchestra, The Southbank Sinfonia and The Girl Choristers of Coventry Cathedral. It was conducted by Simon Over and Paul Leddington Wright  . A recording was made and broadcast a day later on Classic FM  . A second performance with the same performers took place on 17 November 2010 at Westminster Cathedral  . The first recording, featuring Vishnevskaya, Fischer-Dieskau and Pears, with the London Symphony Orchestra and The Bach Choir conducted by Britten, was produced by Decca in 1963. Within five months of its release it sold 200,000 copies, an unheard-of number for a piece of contemporary classical music at that time. Recording producer John Culshaw reports that Vishnevskaya threw a tantrum during the recording, as she believed – not having performed the work before – she was being insulted by being placed with the choir instead of at the front with the male soloists. The newest (2013) CD reissue of this recording includes 50 minutes of surreptitiously taped rehearsal footage at the time of the recording. In 1988, the British film director Derek Jarman made a screen adaptation of War Requiem of the same title, with the 1963 recording as the soundtrack, produced by Don Boyd and financed by the BBC. It features the final film performance of Laurence Olivier, in the role of an ageing war veteran. The Spring Symphony is Benjamin Britten's Opus 44. It is dedicated to Serge Koussevitzky and the Boston Symphony Orchestra. It was premiered in the Concertgebouw, Amsterdam, on Thursday 14 July 1949 as part of the Holland Festival, when the composer was 35. At the premiere the tenor soloist was Peter Pears, the soprano Jo Vincent and the contralto Kathleen Ferrier. The conductor was Eduard van Beinum. A recording of the performance survives and was first issued by Decca in August 1994. The Atlanta Boy Choir is a renowned choral group for boys and men in Atlanta, Georgia. The choir, as it is known today, was founded in 1959 by Maestro Fletcher Wolfe. The choir is an ambassador internationally, performing across North America and Europe in many of the most renowned concert halls and cathedrals in the world. The Alto Rhapsody, Op. 53, is a composition for contralto, male chorus, and orchestra by Johannes Brahms, a setting of verses from Johann Wolfgang von Goethe's Harzreise im Winter. It was written in 1869, as a wedding gift for Robert and Clara Schumann's daughter, Julie. Brahms scholars have long speculated that the composer may have had romantic feelings for Julie, which he may have integrated into the text and music of the Alto Rhapsody. The text, with its metaphysical portrayal of a misanthropic soul who is urged to find spiritual sustenance and throw off the shackles of his suffering, has powerful parallels in Brahms's life and character. Missa Latina is a classical music composition written by the Puerto Rican composer Roberto Sierra. The work was written for SATB chorus with two soloists, and a symphonic orchestra. It was co-commissioned by the National Symphony Orchestra and The Choral Arts Society of Washington and was written through 2003–2005. It premiered in 2006 at Kennedy Center in Washington D.C., and was also performed in the 51st Casals Festival in Puerto Rico. The Washington Times judged it "the most significant symphonic premiere in the District since the late Benjamin Britten's stunning War Requiem was first performed in the still-unfinished Washington National Cathedral in the late 1960s." James Westman is a Canadian baritone known for his interpretation of the Verdi, Puccini and bel canto operatic repertoire, and particularly his signature role of Germont in La traviata, which he has sung in over 150 performances, with opera companies such as San Francisco Opera, Houston Grand Opera, Pittsburgh Opera, Florida Grand Opera, Graz Opera, Santa Fe Opera, Chicago Lyric Opera, Opéra de Montréal, Los Angeles Opera, Grand Théâtre de Bordeaux, Canadian Opera Company, Boston Lyric Opera, Cologne Opera, Vancouver Opera, English National Opera, San Diego Opera, Dallas Opera, Utah Opera, and Opera Theatre of St. Louis. On January 29, 2011 Westman created the lead role of Sandy Keith In the world premiere of Bramwell Tovey's The Inventor. In 2017 he played Sir John A. MacDonald in Harry Somers's Louis Riel for the Canadian Opera Company's tribute to Canada's 150th celebrations. As a recitalist, he has performed for the Marilyn Horne Foundation, Aldeburgh Connection, Aldeburgh Festival, Musikverein, Wigmore Hall, Queen Elizabeth Hall, Morgan Library & Museum, Koerner Hall, Carnegie Hall, Saito Kinen Festival in Japan, Stratford Summer Music, British Broadcasting Corporation, and the Canadian Broadcasting Corporation. Westman first came to attention at the age of twelve when he was the first boy soprano to perform and record Mahler 4th Symphony with Benjamin Zander and the Boston Philharmonic Orchestra in 1984. Westman is regularly featured as the Anthem singer for the Toronto Maple Leafs and numerous other NHL franchises. Four of Westman's recordings have been nominated for a Juno Award. Two recordings nominated for a Grammy Award. Peter Butterfield is a Canadian conductor and classical tenor. In 2003 he founded the VancouverVoices and since 2009 he has been the director of the Victoria Philharmonic Choir. As a singer he has performed throughout Europe, Asia, and North America; working primarily as a concert singer since the early 1980s. He has also appeared on radio and television programs in Canada, Belgium, France, Germany, Italy, Japan, the United States, and the United Kingdom. He is married to mezzo-soprano Sarah Fryer. John Noble was an English baritone. He was Ralph Vaughan Williams's favourite in the title role of the composer's opera The Pilgrim's Progress. Gavin Carr is a British conductor and baritone working with major choruses in the UK and appearing in opera and concert in the UK and around the globe. Britten's War Requiem (1963) is the first recording of Benjamin Britten's War Requiem. It featured Galina Vishnevskaya, Dietrich Fischer-Dieskau and Peter Pears with the London Symphony Orchestra, the Melos Ensemble, The Bach Choir and the Highgate School Choir, and was conducted by Britten himself. The recording took place in the Kingsway Hall in London and was produced by John Culshaw for Decca. Within five months of its release in May 1963 it sold 200,000 copies, an unheard-of number for a piece of contemporary classical music at that time. ↑ Philip Reed "The War Requiem in Progress" in Britten: War Requiem by Mervyn Cooke (1996). ↑ Andrews, Travis M. (March 20, 2019). "Jay-Z, a speech by Sen. Robert F. Kennedy and 'Schoolhouse Rock!' among recordings deemed classics by Library of Congress". The Washington Post. Retrieved March 25, 2019. ↑ "Purpose". Caltech. Retrieved 3 August 2013. ↑ Evans, Peter (August 1997). "Review of Britten: "War Requiem" (Cambridge Music Handbook series), by Mervyn Cooke". Music & Letters. 78 (3): 466–468. JSTOR 737454. ↑ Paul Kildea (18 July 2003). "In his own words". The Guardian. UK. Retrieved 10 May 2008. ↑ "Dedicatees". Britten-Pears Foundation War Requiem web site. Retrieved 14 November 2014. Further details of the war service of Burney, Gill and Halliday are available on the Commonwealth War Graves Commission website. ↑ Arnold Whittall, The Music of Britten and Tippett, Cambridge University Press, 1982 ( ISBN 0-521-38501-6). ↑ Michael Berkeley (21 June 2003). "Come let us mumble". The Guardian. UK. Retrieved 20 May 2007. ↑ Stephen Moss (31 March 2000). "Golden cords". The Guardian. UK. Retrieved 20 May 2007. ↑ Martin Kettle (20 May 2005). "It is the start of the final episode". The Guardian. UK. Retrieved 18 May 2007. ↑ Richard Fairman (5 May 2012). "Battle of Britten". Ft.com. ↑ Reed, Philip & Cooke, Mervyn (eds). Letters from a Life: The Selected Letters of Benjamin Britten: Vol. 5, 1858-1965. Boydell Press, 2010: p. 335. ↑ Philip Reed (30 March 2005). "Obituary for Meredith Davies". The Guardian. UK. Retrieved 18 May 2007. ↑ Lang, Paul Henry (October 1963). "Current Chronicle: Lenox, Massachusetts". The Musical Quarterly. 49 (4): 510–517. doi:10.1093/mq/XLIX.4.510 . Retrieved 1 May 2008. ↑ "War Requiem concert broadcast on Classic FM". Classic FM. Retrieved 2018-04-12. ↑ "Flyer for War Requiem Coventry 13 November 2010" (PDF). Parliament Choir. Retrieved 2018-04-10. ↑ "War Requiem concert broadcast on Classic FM". Parliament Choir. Retrieved 2018-04-12. ↑ "Flyer for War Requiem 17 November 2010" (PDF). Retrieved 2018-04-12. ↑ "50th Anniversary Performance: Britten's War Requiem". City of Birmingham Symphony Orchestra. 30 May 2012. Archived from the original on 4 March 2012. ↑ Carpenter, Humphrey. Benjamin Britten: A Biography. London: Faber and Faber, 1992: p411. ↑ Humphreys, Garry (18 December 2012). "Galina Vishnevskaya". The Independent. Retrieved 3 August 2013. ↑ Andrew Clements (23 April 1999). "Keynotes". The Guardian. UK. Retrieved 20 May 2007.